It's the stuff of nightmares, the dark inspiration for literature and film. 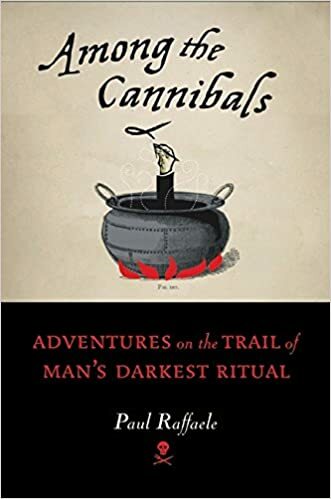 But astonishingly, cannibalism does exist, and in Among the Cannibals travel writer Paul Raffaele journeys to the far corners of the globe to discover participants in this mysterious and disturbing practice. From an obscure New Guinea river village, where Raffaele went in search of one of the last practicing cannibal cultures on Earth; to India, where the Aghori sect still ritualistically eat their dead; to North America, where evidence exists that the Aztecs ate sacrificed victims; to Tonga, where the descendants of fierce warriors still remember how their predecessors preyed upon their foes; and to Uganda, where the unfortunate victims of the Lord's Resistance Army struggle to reenter a society from which they have been violently torn, Raffaele brings this baffling cultural ritual to light in a combination of Indiana Jones-type adventure and gonzo journalism. Illustrated with photographs Raffaele took during his travels, Among the Cannibals is a gripping look at some of the more unsavory aspects of human civilization, guaranteed to satisfy every reader's morbid curiosity.